In 1568 the Seventeen Provinces in the Netherlands rebelled against the colonial rule of the king of Spain. A confederation of duchies, counties and lordships, they demanded the right of self-determination, the freedom of conscience and religion, and the right to be represented in government. Their long struggle for liberty and the subsequent rise of the Dutch Republic was a decisive episode in world history and an important step on the path to the Universal Declaration of Human Rights. In his compelling retelling of the conflict, Anton van der Lem explores the main issues at stake on both sides of the struggle and why it took eighty years to achieve peace. He recounts in vivid detail the roles of the key protagonists, the decisive battles and the war’s major turning points, from the Spanish governor’s Council Of Blood to the Twelve Years Truce, while all the time unraveling the shifting political, religious and military alliances that would entangle the foreign powers of France, Italy and England. 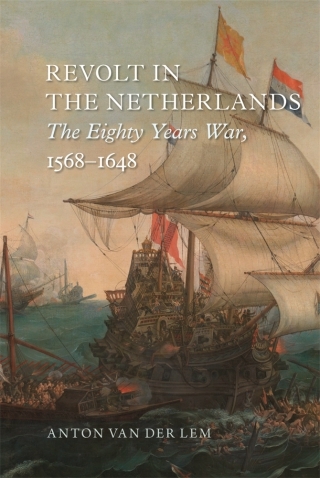 Featuring striking illustrations that have rarely been seen before, this is a timely and balanced account of one of the most historically important conflicts of the early modern period. Anton van der Lem is Curator of Rare Books at Leiden University Library.